Mulligans: Can I Do That Part Over Again? My golf game changed the day I learned about mulligans. And my golf game needed to change. For the uninitiated, a mulligan is a “gimme” in golf. 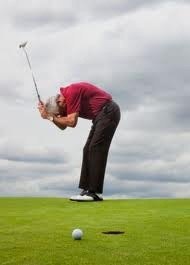 If a player makes a bad shot, a mulligan is the chance to re-do that one shot. This little perk is great for social golfers (and really bad golfers like me), even though they are usually limited to one mulligan per game. And even though Tiger Woods occasionally could use a mulligan, mulligans are not allowed in professional golf. Wouldn’t it be nice to occasionally be given a mulligan—a re-do—as a parent? Ever said something you regretted? Ever done something—or forgotten to do something—that you wish could be corrected? Life is not a game, but it would be nice to avoid the penalty and consequences of a mistake and simply move forward. Maybe we can. Consider with me three ways mulligans can be a part of family life. In the Christian life, we know that the time we are to ask for forgiveness is the moment we realize we have sinned (Ps. 32:5; 139:23-24). That’s true for our relationship with God; shouldn’t be equally true of our relationship with others? There are many times I have apologized to my sons for a word spoken in anger . . . for impatience because they didn’t learn something as fast as I thought they should . . . for perfectionism because they didn’t do something exactly the way I wanted it done. We can gloss over our shortcomings with excuses (“Sorry. I was tired.”), but it is far better for us to admit we blew it . . . without any rationalization. Our kids know we’re not perfect parents, and we serve our children well when we admit those shortcomings. When we seek forgiveness from God, it includes both confession (admitting our wrong) and repentance (turning from it and going in the opposite direction). Asking for forgiveness in the family works the same way. When you come to child and ask for forgiveness, what will you do to show you have turned and gone in the opposite direction? You’re doing another great service to your children. Not only does seeking forgiveness open the door for restoring a wounded relationship, but you are also modeling for them how to ask for forgiveness. They’re going to need to ask for mulligans too! I can ask for a mulligan—a chance to correct a mistake I made—but it is up to the other person to give it to me. What is in my power is the mulligan I can offer to someone else. What would your family life be like if you were overly generous in the mulligans you passed out? Golf is not found in the Bible, but mulligans are. It’s called grace. God has lots of grace, and we certainly need it. “Now the God of all grace, who called you to His eternal glory in Christ Jesus, will personally restore, establish, strengthen, and support you” (1 Pet. 5:10a). And just as God has extended us grace, we should do the same for others. “And be kind and compassionate to one another, forgiving one another, just as God also forgave you in Christ” (Eph 4:32). Some people find it hard to forgive because it feels like they are saying it was OK what the person did. Forgiveness expresses that, although the words or actions are not approved of, we will not hold those words or actions against the person. They are still loved and accepted. We give them a chance to have a do-over by not holding the past over their heads. And remember, golf may only allow one mulligan per game, but Jesus says we are to allow lots of mulligans. How many? Seventy times seven (Matt. 18:22)! My wife and I have survived parenting to this point, and both our sons are now in college. During our walks, while our beagles sniff whatever beagles sniff, we often find ourselves rehearsing the past. This is not often healthy for us, because it turns into a discussion of what-ifs. “What if we had done this instead of that?” We can depress ourselves pretty quickly if we think of all the ways our sons would have been better off if we had not been so strict about such-and-such . . . or if we had been more strict about such-and-such . . . or if we had . . .and on it goes. We need to give ourselves mulligans. 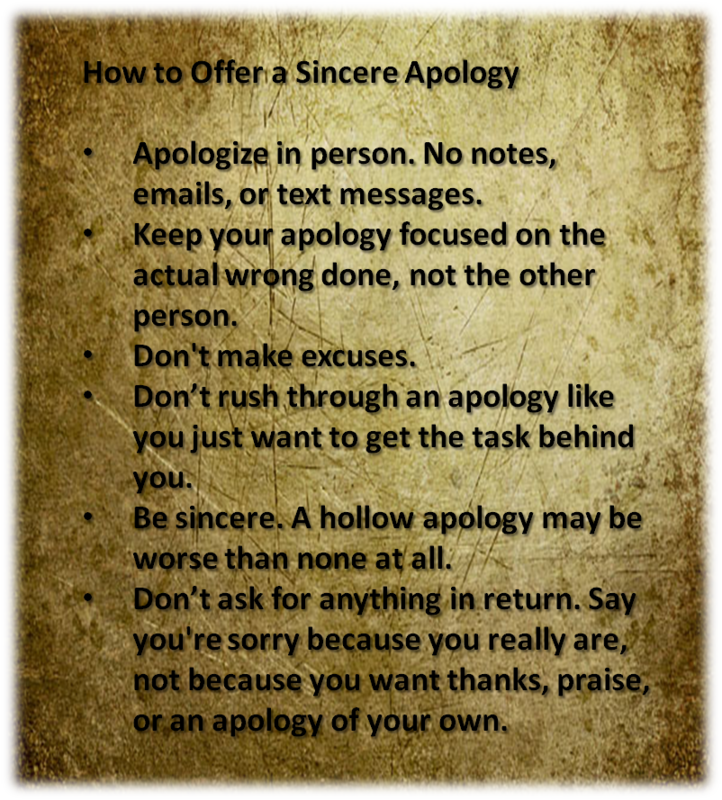 Apologize where needed. Correct the mistakes we can. And extend a little grace to ourselves. When we’re open and transparent before our families—not hiding or justifying our mistakes, but asking for forgiveness and working in God’s power and grace to continually be more Christlike—God’s love, grace, and power can shine through. In spite of our mistakes, God is still at work. This is not going in the opposite direction and trivializing our mistakes. It’s not saying, “It doesn’t matter how bad I mess up, because God’s grace and power will fix it all.” But neither should we keep beating ourselves up. Christ forgives. If you’ve accepted that forgiveness, then forgive yourself.